The Le Mans 24 Hours is one of the most evocative endurance races in the world. It is not only a race for the die-hard motorsport fan but as much for the casual fan out to enjoy a hugely entertaining weekend. The support for Le Mans is immense! One of the moments of the weekend is the long convoy of British cars that weave their way down to Le Mans. There is plenty of action leading up to the race with the superb drivers' parade through the centre of Le Mans. Then come the race, through sun and rain, through day and night. Please look at our sample programme below - this is only a fraction of our Le Mans supply. Please also look at www.onsite-events.com or call reservations. 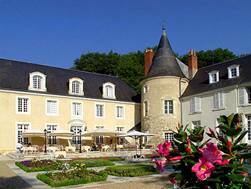 An imposing manor overlooking Briffaut Lake, Hotel Domaine de Beauvois is a glorious retreat set in 350 acres of Loire Valley parkland. Tranquillity is guaranteed here together with a choice of cuisine, gentle pastimes and a connoisseurs wine selection. Since its transformation in 1967, the Domaine de Beauvois has been constantly embellished and enlarged, but its style has been maintained. 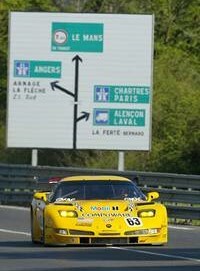 It is an oasis of peace which stars of the arts and show business, such as Robert de Niro, Jessye Norman and Grace Kelly or the leading racing drivers driving in the Le Mans 24 hour race found attractive. The 36 comfortable and elegant rooms retain much of their 16th and 17th-century charm. Hotel Domaine de Beauvois offers a choice of two dining rooms, either sophisticated cuisine in the Briffaut room or country cuisine is served in the Louis XIII and Louis XV lounges, overlooking the terrace and formal garden. In summer, one can dine on the inviting terrace or by the large pool. The Drivers' Parade is the 24 Hours of Le Mans is a legendary affair and is very much part and parcel of the weekend. You can see processions of wonderful cars and it is accessible enough to be able to obtain autographs from your favourite drivers and of course to enjoy the atmosphere and the Hawaiian Tropic Girls. After the parade, we have a fine restaurant very close by to entertain and re-energise weary legs. A 24 Hour motor sport endurance event is arduous for any driver. It can also be a fairly tough on the fan! For this reason, our hospitality facility offers you the chance to maximise your enjoyment of the race in a comfortable and enjoyable way. If you appreciate good service, a relaxing haven, great food and a well stocked bar or simply to be able to quietly chill out in the shade, then our hospitality facility may be your finest purchase for the event. The marquee is decorated with flowers and is equipped with television monitors for full race coverage and also any other sport that might be covered that weekend. The facility will be open from 09:00 - 24:00 on Saturday and 09:00 to 18:00 on Sunday. This quality facility is superbly appointed and is located at Maison Blanche; the terrace overlooks the Ford curve. The marquee has a full bar area, a lounge area, televised monitors and an outside area with decking, garden furniture and parasols. The facility is adjacent to banking which has steps from the garden area to the top for viewing. The flight follows the circuit two times and takes approximately 10 minutes. The departure area is close to your hospitality facility. The complex at Arnage & Indianapolis corners where you see cars burst through the trees as they exit the right-hand corner, sweeping through Indianapolis, accelerating and braking into Arnage corner and disappearing towards Virage Porsche. As it is virtually impossible to make your own way to Mulsanne and Arnage, we provide a shuttle bus service. Our elegant Auberge is the place to be after a weekend on the circuit. It is the finest way to finish your Le Mans experience and our facility is ideally located in Arnage, close to the circuit. Since 1962, the family Souffront have been serving superb gourmet cuisine from their restaurant which offers a beautiful parkland view. 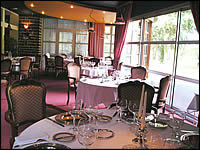 The Auberge is one of the oldest restaurants in Le Mans .